See a summary of the Results Release for 4Q18 (fouth quarter of 2018) available on the CVM website and also a summary of the latest quarterly results published by the Company. 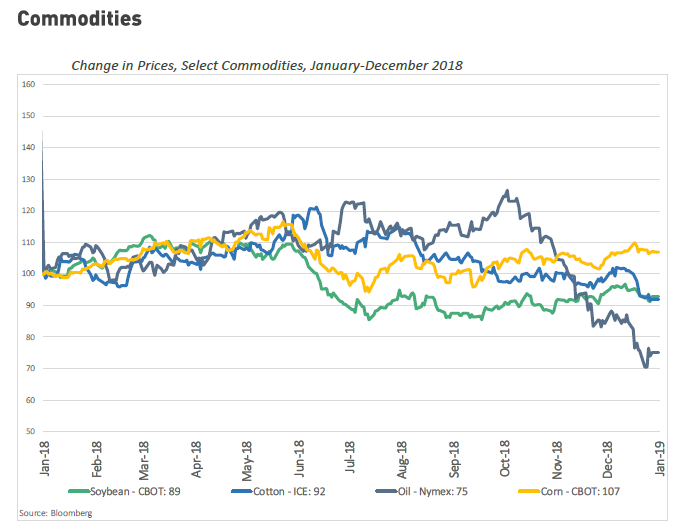 Net profit 369,262 406,501 n.m.
During 2018, the spot soybean price on the Chicago Board of Trade (CBOT) registered significant volatility. After reaching highs of over 10.50 USD/bu, the spot soybean price on the CBOT tested lows near 8.10 USD/bu. The area cultivated for cotton crops in 2017/18 was 95,124 ha, divided between the initial cotton crop and the 2nd cotton crop. The productivity of the corn grown in the 2nd crop was 9,912 per hectare. The planting of the corn 2nd crop began in the second half of January 2018, as the harvest of early soybean varieties advanced. SLC Agrícola is a Company with shares traded on Bovespa since 2007.